Jewish Family & Community Services is a social service agency dedicated to helping people help themselves. JFCS serves the entire community through six core programs: Child Welfare, Adoption, Counseling, Emergency Financial Assistance/Food Pantry, United Way’s Achievers for Life Dropout Prevention, and Jewish Services. Through the generosity of The Jewish Federation of Jacksonville, we provide a number of services specifically for the Jewish community; those include support for children with special needs, meal delivery, affordable transportation, care management services and medical advocacy for seniors, financial assistance, Holocaust survivor services, and The Jewish Healing Network. Contact: 904-448-1933 or info@jfcsjax.org, jfcsjax.org/. 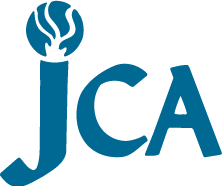 River Garden Senior Services is a high-quality, not-for-profit, mission-driven community agency sponsored by the organized Jacksonville Jewish community. Services include: Short-stay Rehabilitation; In-patient and Out-patient Therapies, including physical, occupational and speech-language therapies; Parkinson’s Specialty Care; Osteoporosis Management; Long-term Skilled Nursing Care; Alzheimer’s/Memory Care; Palliative Care; Adult Day Care; Medicare-certified Home Health Care; an interdisciplinary professional team; full-time medical staff; on-site pharmacy. River Garden is an unprecedented eight-time recipient of the “Florida Governor’s Gold Seal Award for Excellence in Long-Term Care,” along with 5-Star ratings by state and federal regulatory authorities. Contact Kari Bell, 904-288-7855, kbell@rivergarden.org​​, and rivergarden.org/. Torah Academy of Jacksonville offers a well-rounded education to Jewish students of all backgrounds and religious affiliations. The school complements a complete Jewish education with an uncompromising general education which continually surpasses Florida State standards in all core subject areas. TA’s intimate classroom setting supports a unique teacher and student relationship where each child is encouraged to strive for and achieve his or her maximum potential. The combination of a genuine Torah education and an excellent General Studies education prepares our students for academic, personal and professional success. From more information, please go to Torah-Academy.com, email Office@Torah-Academy.com, or call 904- 268-7719.